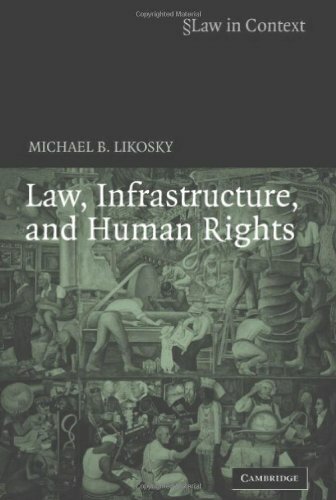 [PDF] Law, Infrastructure and Human Rights (Law in Context) | Free eBooks Download - EBOOKEE! Description: From attacks on oil infrastructure in post-war reconstruction Iraq to the laying of gas pipelines in the Amazon Rainforest through indigenous community villages, infrastructure projects are sites of intense human rights struggles. Many state and non-state actors have proposed solutions for handling human rights problems in the context of specific infrastructure projects. Solutions have been admired for being lofty in principle however, they have been judged wanting in practice. This book analyzes how human rights are handled in varied contexts and then assesses the feasibility of a common international institutional solution under the auspices of the United Nations to the alleged problem of the inability to translate human rights into practice. No comments for "[PDF] Law, Infrastructure and Human Rights (Law in Context)".